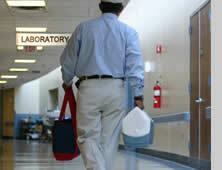 and the Texas medical community since 1979.
expect their deliveries on-time and integrity assured. clients the way you would. Since 1979 Atlas Delivery has provided efficient and expert courier and delivery services to Houston and the surrounding areas. Our performance combined with a professional image provides a seamless extension for all your hot shot, medical logistics, pharmaceutical, route, and freight shipping needs! Professional, HIPAA and OSHA compliant drivers. We offer a variety of vehicles options including cars, SUVs, pick-up trucks, vans, and straight trucks with lift gates. Providing 24/7 hotshot and courier services for all your delivery needs. 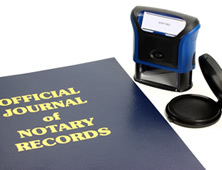 We have notaries on staff that are available from 8AM - 4PM ready to dispatch. Atlas Delivery provides courier services that build relationships. Serving Houston since 1979 specializing in same day service and Medical Logistics, we have partnered with many of our clients for 10 years or more. Atlas is large enough to handle the challenges of large accounts, while catering to individual needs of each client. Any company can deliver packages, but Atlas offers specialized care for your clients that provides service the way you would. Our goal is to go the extra mile and make your company look good in the process. This is evident by the long standing relationships and four decades or serving Houston. Our drivers are uniformed with ID badges certified HIPAA and OSHA 29 CFR 1910.1030 compliant. Call us at 713-683-8100 or toll-free at 877-528-5271, and let us design a customer care plan with the seamless goal of making your company look good while providing exceptional customer care. Atlas has stood the test of time. In Houston there is always a new courier service. Decades of dependable, efficient service has rewarded Atlas with many loyal customer relations lasting 15 years or more. Down the street, across town or throughout the great state of Texas. We deliver to your destination. Partner with Atlas and we will go the extra mile, to provide excellent customer care that promotes your company. This type of TLC has earned us the loyalty of the Texas Medical community since 1979. Caring for those in need! Atlas is a family that strives to do it’s very best every day! These deliveries help patient and it is nice to see a driver with a smile. The drivers have always put the supplies where we need them, they are never dumped on a doorstep. It is so nice to have a partners to help, care for those in need! 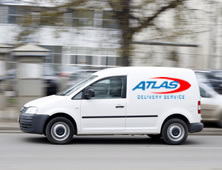 We have been using Atlas Delivery since the early 80's for our medical deliveries. All of the drivers are very competent and professional. There have been many special situations where the drivers have gone out of their way to help us complete deliveries. Through the years Atlas has maintained a high level of quality service. I have had the pleasure of working exclusively with Atlas Delivery for over 5 years. We have numerous protocols that must be followed with each delivery. I have never been disappointed with the quality of assistance I have received. Atlas has been a timely, professional, and a cost effective delivery solution. I view them as business partners that complete our scope of service. Providing business in Houston and surrounding areas with courier services, delivery services, messenger services, freight shipment service, medical, and pharmaceutical deliveries with on-time service through a dedicated team of knowledgeable and caring people. Copyright © Atlas Delivery Service. All rights reserved.